Builder Fernando Pagés Ruiz discovered by accident that the multicultural groups in his community had special needs that weren't being met. Knowing that nearly 10,000 Vietnamese families live in Lincoln, Nebraska, I hired Andy Vu, a Vietnamese real estate agent to represent my building company. At first, he had difficulty selling my floor plans to his countrymen. One day, though, he began moving houses at an extraordinary clip. I thought that the good Vietnamese people of Lincoln had suddenly wised up, realizing the extraordinary value of my homes-but I was wrong. Without telling me (to avoid offense), Vu had hired a Vietnamese remodeling contractor to adapt my houses to Vietnamese tastes. For an extra $3,500, the contractor would retrofit an outdoor-vented range hood and erect walls around the kitchen so that it wouldn't remain open to the family room. When I got wind of this, I asked Vu to make a list of all Vietnamese preferences so that we could design a plan to suit them better. By asking around, I discovered that other ethnic groups in Lincoln also disliked the standard North American floor plan. So I arranged a series of lunches with friends from various cultures and asked them what they wanted in a house. Soon I had a list of cultural preferences by nationality. I couldn't design a house for each cultural group from Iraqi to Iroquois, but I could combine elements into a handful of multicultural models. A garage kitchen built for a Vietnamese household. If the people-counters at the Census Bureau are right, immigrants and native minorities will account for half the U.S. population by 2050. The increasing size and affluence of North America's multicultural community also defines the biggest growth segment for homebuilders and remodelers. According to a report by the Joint Center for Housing Studies at Harvard University, minorities may represent nearly half of all new homebuyers in the coming decades. In cosmopolitan areas, such as Miami, Chicago, Los Angeles, Houston and San Francisco, lenders, real estate companies and major builders have grasped the situation and are trying to cater to this multicultural niche. Banks are setting up minority lending services, real estate firms are hiring bilingual agents and builders are merchandizing their models for the multicultural market. These accommodations are not motivated by fair housing laws, but rather by the realization that those who focus on emerging markets will thrive; those who don't, won't. Serving the multicultural market involves more than hiring bilingual sales agents and translating a few documents. It means understanding that not all American dreams look alike: Different cultures want strikingly different styles of housing. Immigrants don't necessarily covet the wide-open floor plan with a kitchen facing the family room. Some cultures prefer an enclosed, well-ventilated kitchen. Others require two living rooms so that men and women can socialize separately. 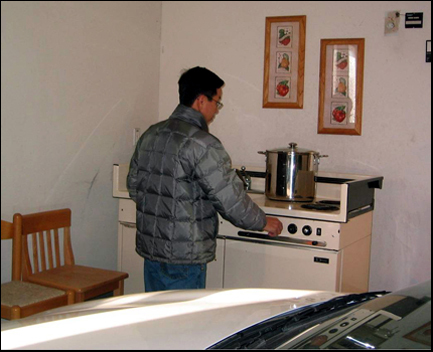 The Vietnamese families I work with want a kitchenette in the garage or on the back porch for summer cooking. With several generations under one roof, Latinos prefer more bedrooms instead of a palatial master suite. My Arab clients want a separate room for the toilet because in the Middle East, lavatory and latrine functions don't belong in one room any more than a urinal might belong next to the kitchen sink. And in a house for Muslims, a toilet cannot face toward Mecca. Some cultural preferences can be less obvious and more complex than simple room arrangements. For instance, to cope with the complex site and architectural requirements dictated by feng shui and the vastu shastra of India, a contractor must hire a skilled consultant. This expert determines how energy flows through a house to promote or to thwart health and fortune. Working with the architect, a feng shui or vastu consultant can help to identify and mitigate undesirable lot characteristics, and recommend architectural features that make homes easier to market. These features don't cubbyhole a particular cultural group or exclude another. The point is not going backward, building grass huts and pagodas, but building modern American housing that accommodates modern Americans-who are no longer necessarily white. For builders who grasp the marketing potential of including multicultural features, the rewards can be significant: a loyal clientele that fuels repeat sales by word of mouth. I have met many real-estate agents who say that having served one ethnic client gave them an in with an entire community. In Nebraska, where the immigrant community has grown from 5% to nearly 15% within a decade, I have found a profitable niche catering to new Americans' dream-though I admit that I fell into it almost by accident. You might think this sort of cultural sensitivity applies only to first generation immigrants, but I have found that even second and third generations enjoy architecture that respects their heritage. After all, home is the only place where a family can express its culture without inhibition. Because I am in the business of building homes and not just housing, creating an environment that respects every American's dream represents not only a good deed, but also a good business. Fernando Pagés Ruiz builds entry-level homes in Lincoln, Nebraska.